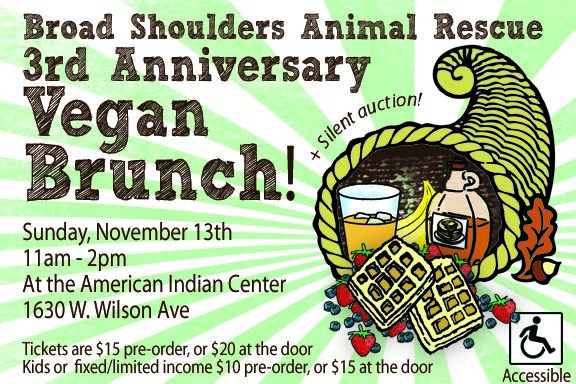 Maybe you saw some flier, (two posts down) for The 3rd Annual Broad Shoulders Vegan Brunch? 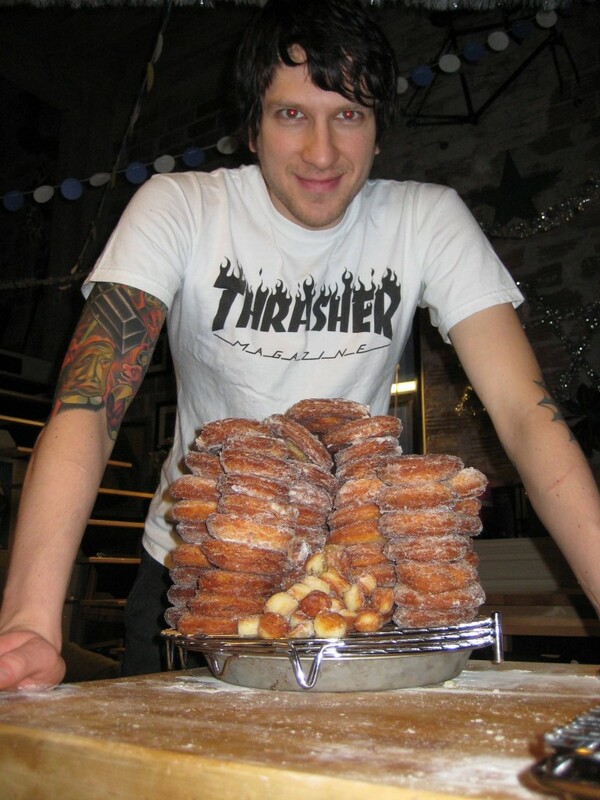 Well to add more incentive, I thought I would show off some Mr. Fakies Vegan Donuts! Which will be featured at this all-you-can-eat carb bonanza! These tasty little treats will go to benefit Broad Shoulders, a non-kill Animal rescue organization in Chicago “…that provides foster care for companion animals and advocates for veganism and animal rights.” Right now Broad Shoulders is in some serious need as they have several foster cats who have upcoming surgery. Buy your tickets HERE for $15 in advance or $20 at the door. or Pebbles, she will destroy your home with clumsiness, but will probably not pee on anything. Buy tickets, people! 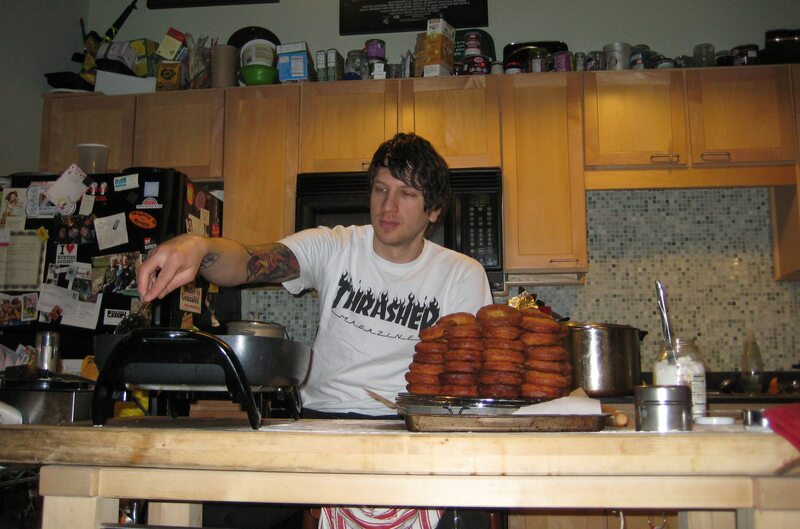 This guy’s donuts taste better than Krispie Krack and Dunkin Deeznuts. Believe it! she totally loves everyone, by the way.